NDC political consultant and PF Roan MP has scored a brace against dictator Edgar Lungu who directed police to ensure that the outspoken lawmaker spends this weekend in police cells. Kambwili was arrested for trumped up charges early this week and was supposed to appear in court today. Meanwhile Lungu and his minions had schemed to prefer some more fresh charges at Woodlands police station and according to the plan he was going to be picked from the Magistrates court and be detained at Woodlands police station. “The instruction was that the state delays the court case so that it collides with the summon for him to appear at Woodlands Police. There after police were going to apprehend him from the courts and ferry him to Woodlands Police where he was going to spend the weekend in the cells. Luckily he wasn’t feeling too well and missed court, so we don’t know whether he is really sick or its just a move to avoid falling for Lungu’s bait,” said a state house source. Meanwhile, police and several sympathizers waited for Kambwili’s appearance before Lusaka principle resident magistrate Mwaka Mikalile. Later his lawyers tendered in a medical report that their client was unwell and as such could not attend court. In order to intimidate his supporters police planned to brutally arrest Kambwili and anticipated riots so that many people could be arrested. 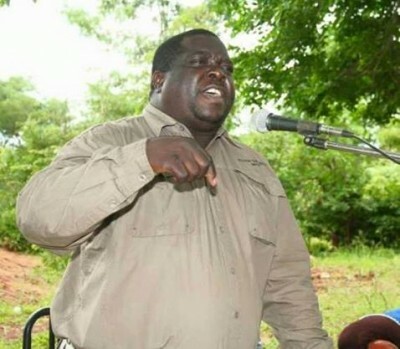 Kambwili will appear in court and also report himself to Woodlands police next week. For now it is Kambwili 2, Koswe mumpoto 0.